The Rack Adapter is a threaded mount for attaching front or rear racks directly to our brake pivots. 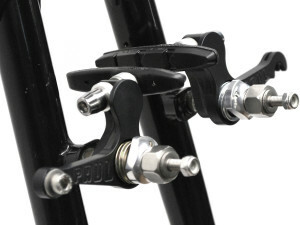 Small front or rear racks can mount to these posts for a strong connection and integrated appearance. Rack Adapters replace the brake bolts that thread into the center of our brake pivots. 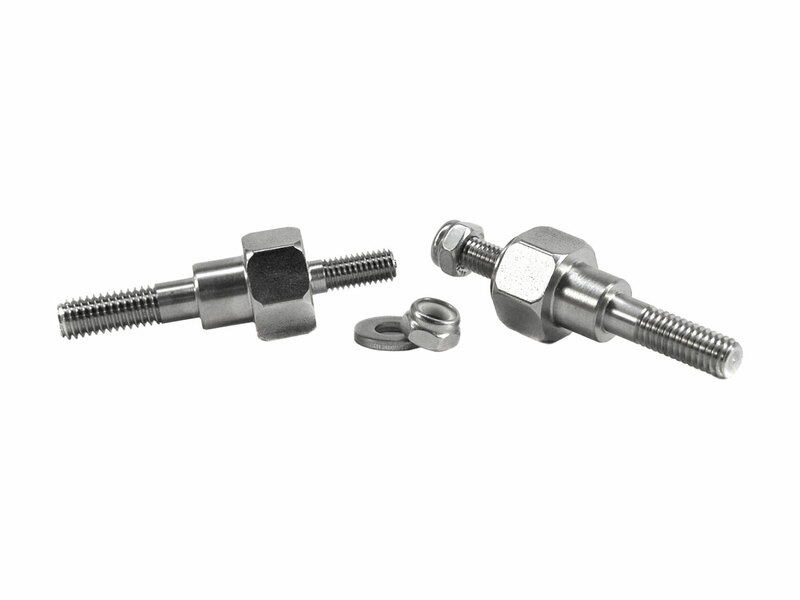 The threaded posts that extend from them have 5mm threads and include a nylock nut. 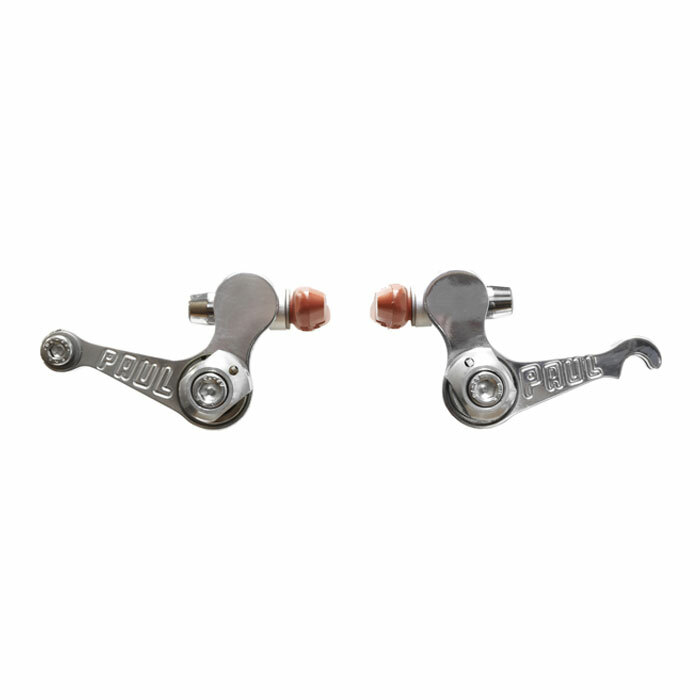 Installation and spring adjustment is the same as with the original brake pivot hardware, except that a 14mm wrench is used in place of a 5mm hex wrench for tightening the pivot. 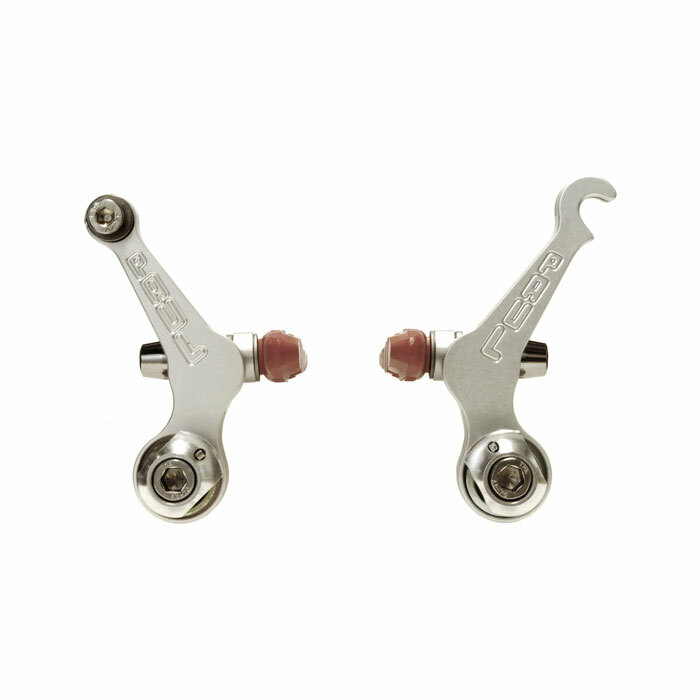 Please note that our Rack Adapters are not compatible with the center mount version of our Racer or Racer Medium brakes. If you have questions, please contact us. Our monthly email is an ongoing bike conversation for creative people who spend a lot of time in their garage. © 2019 — Have a nice ride.